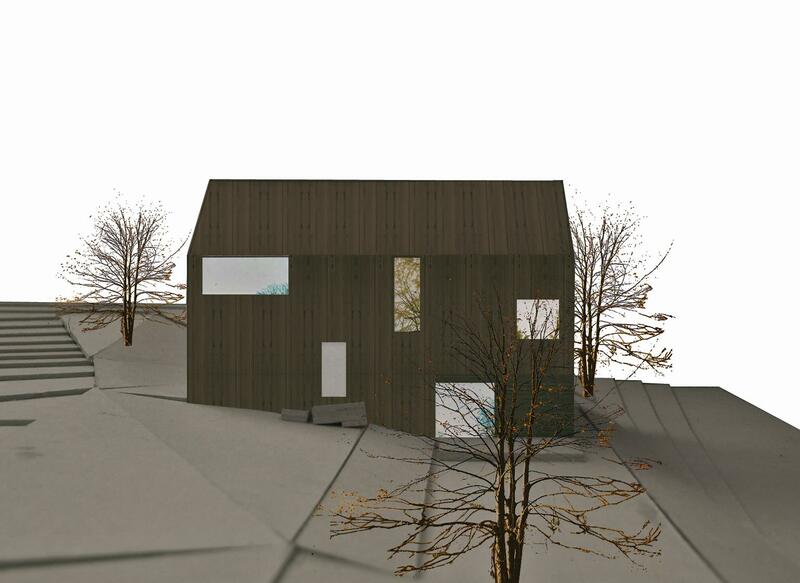 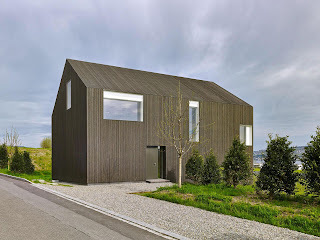 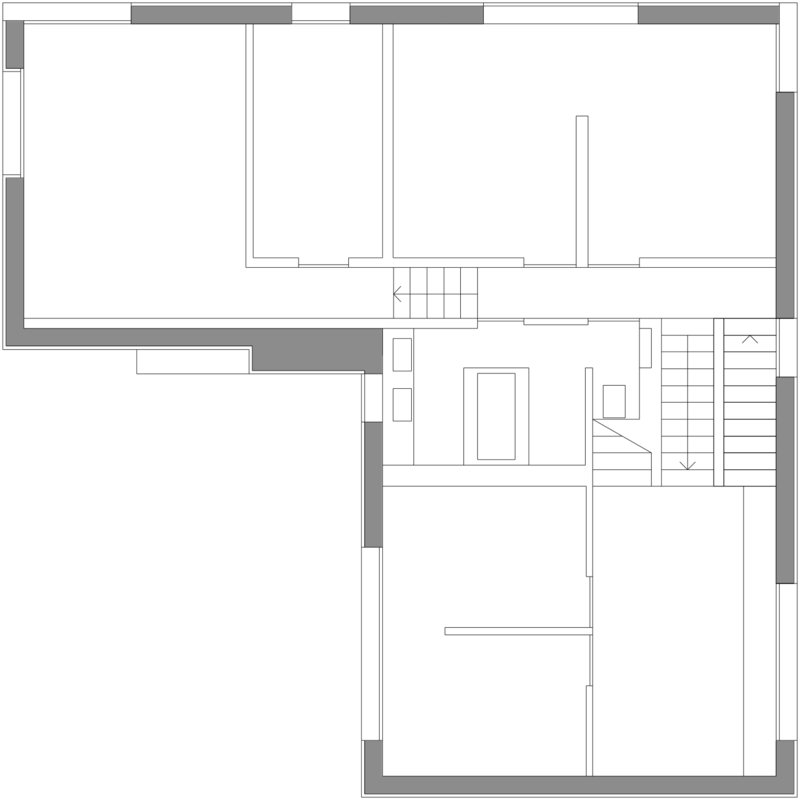 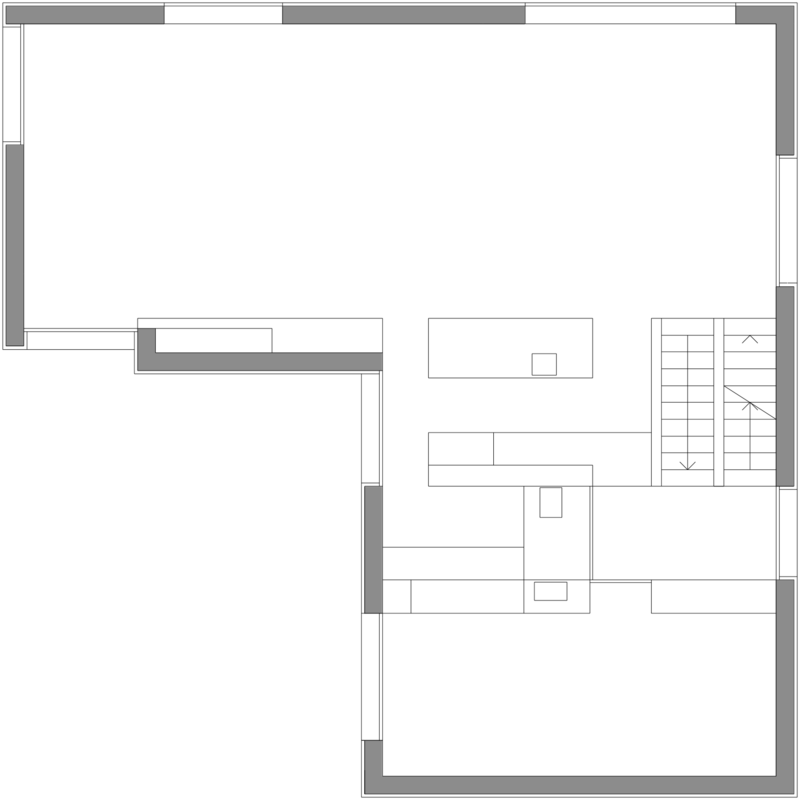 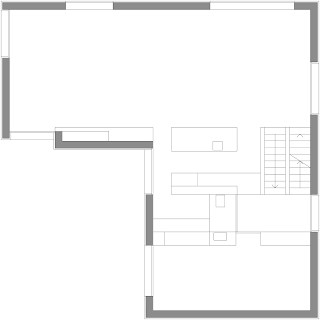 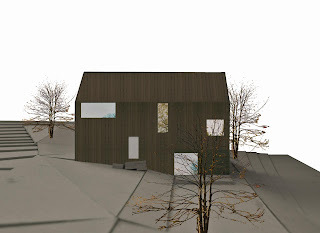 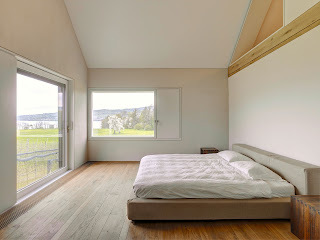 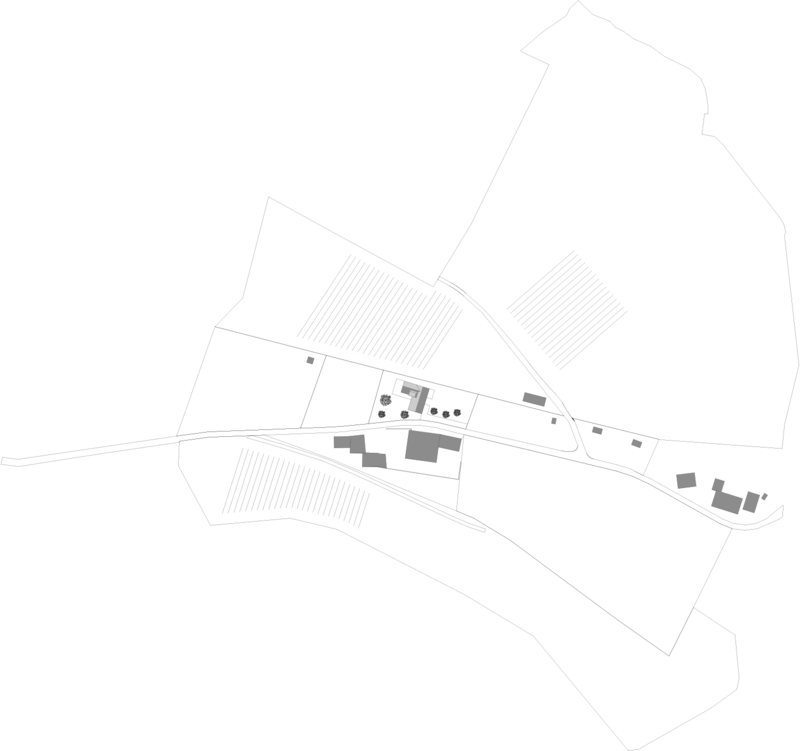 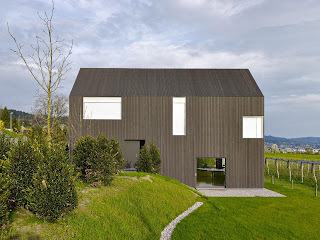 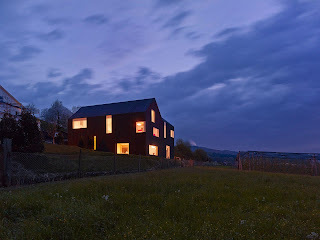 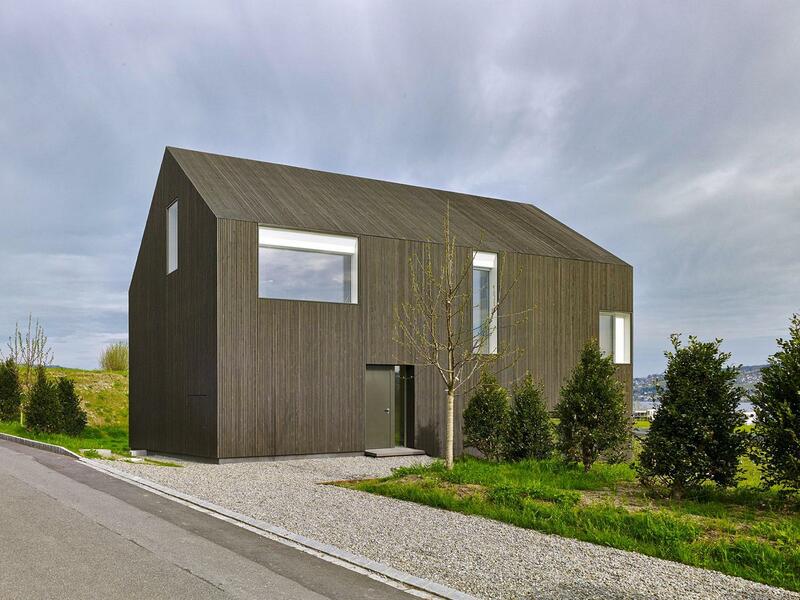 The house in Gottshalden is located on a plateau over the Lake Zurich. 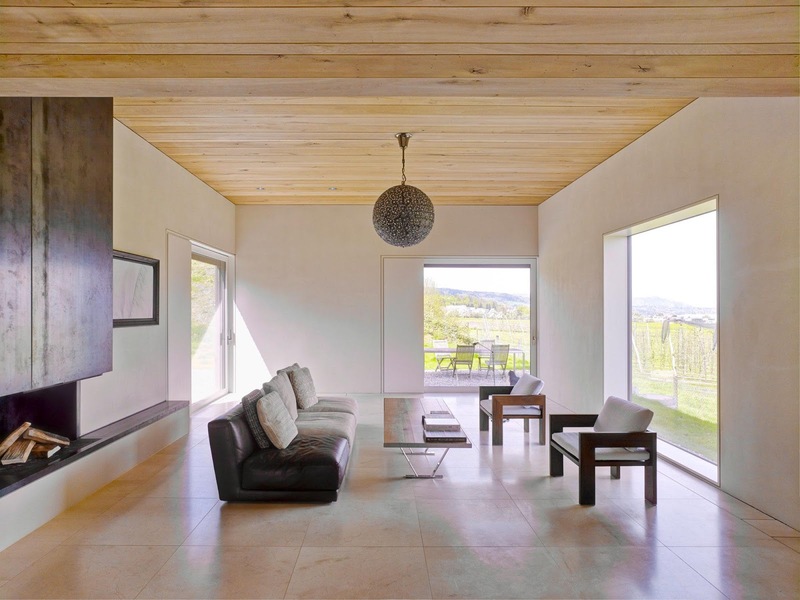 It is set in green surroundings with a high quality of life, dominated by agricultural use. The volume exhibits a unified design, with a reduced, sharp-angled timber facade. 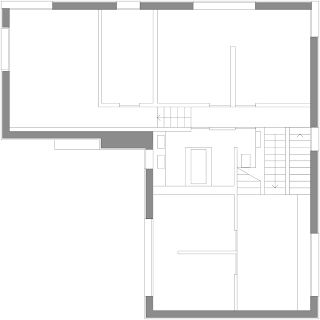 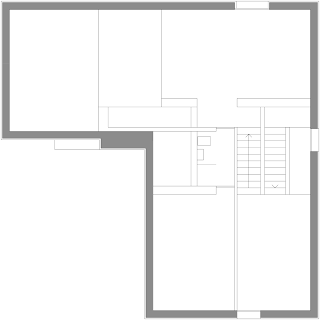 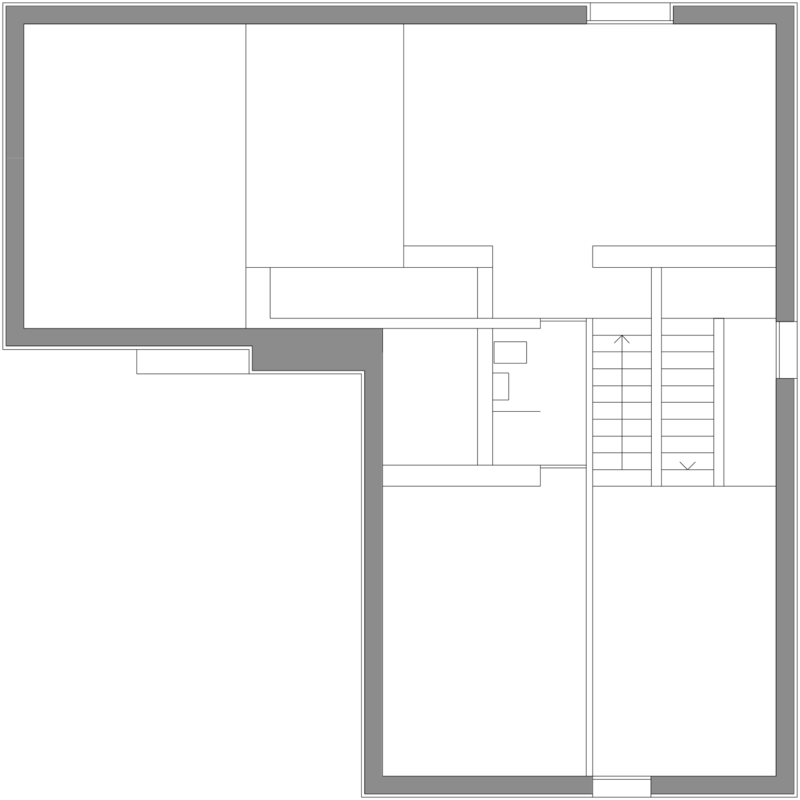 The building is reduced to an almost graphical figure, with even the minimal distances to the eaves and corners verging on disappearance. 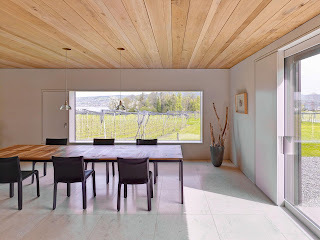 Gottshalden is a highly innovative project that applies custom made products for the construction, façade and the floors. 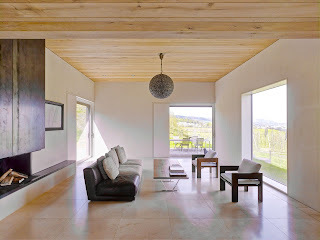 The use of oak as a constructive element is an extra effort that now irradiates warmth throughout the house and mediates the natural qualities of the wood itself. 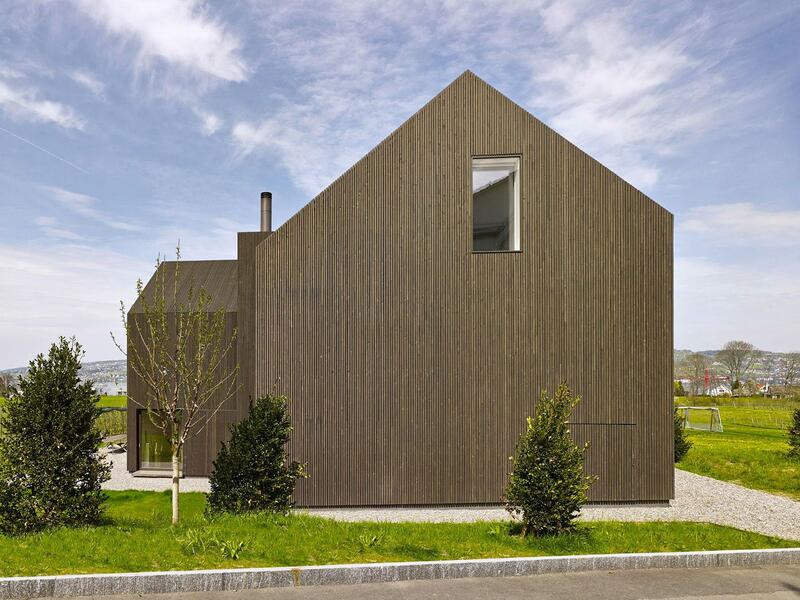 This construction oriented thinking is also reflected in the façade. 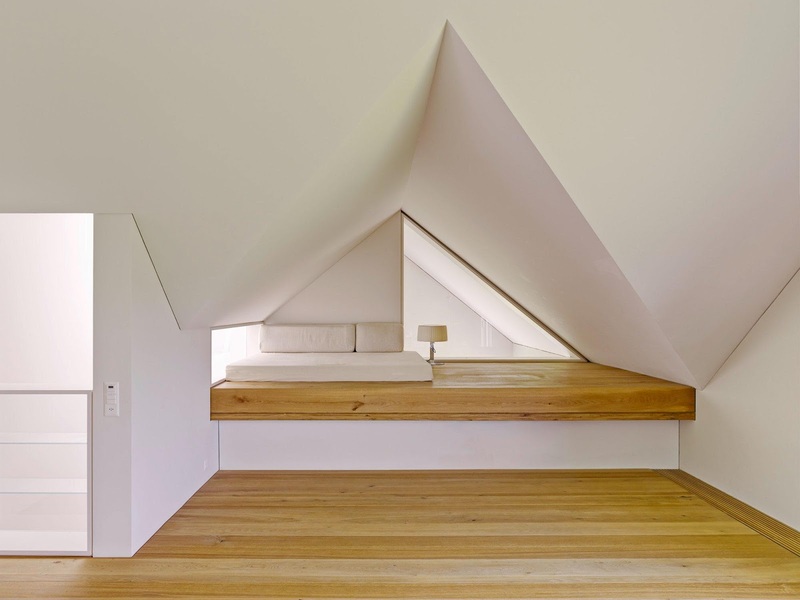 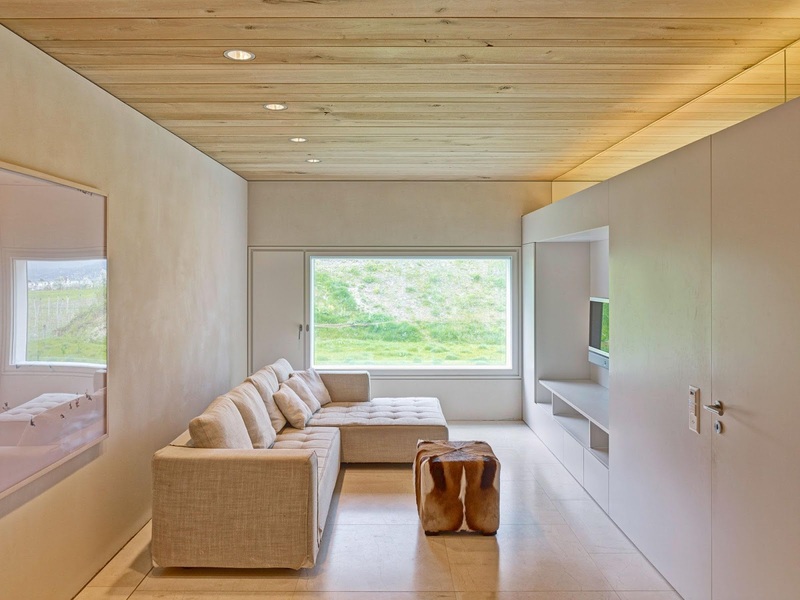 The house is designed and executed on the level of wooden furniture.